The Professional Bola is well established as the best training aid for batsmen at all levels of cricket and is used widely by cricketers from National, County and Club sides as well as in schools. The Professional has a microprocessor based digital speed control with membrane switch panel. It combines adjustable speed in increments between 15 and 95 mph, spin, swing and pace bowling with 19 spin and swing settings. Easy adjustment for precision line and length. Allows fast changes from inswing to awayswing. Complete with remote control. Supplied in carrying case. This model can be operated via battery (not included). With the addition of an optional power pack this can be operated via mains supply. 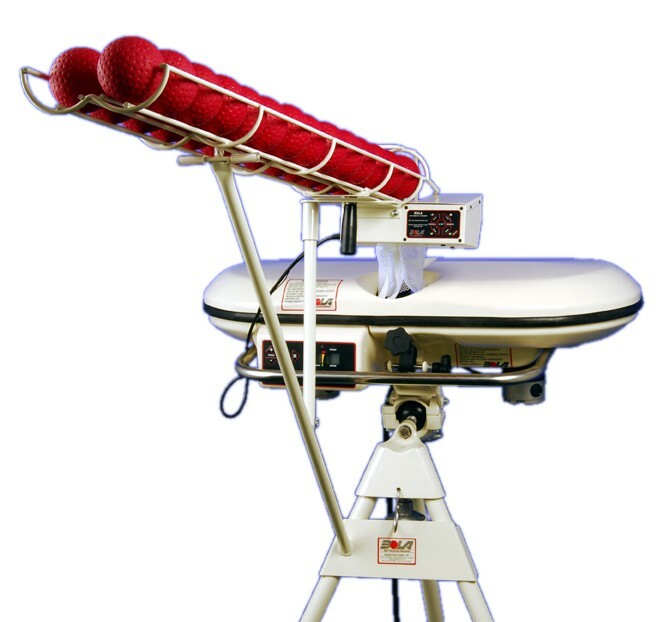 Pictured showing the auto-feeder and balls - which are optional extras.